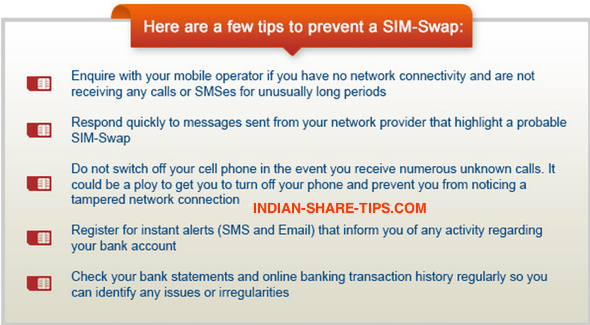 SIM-Swap involves a fraudster issuing a duplicate SIM card which is registered under your name. With a SIM card that shares the same number, the fraudster can stalk and save your bank related information via mobile banking transactions. Have a look at below screenshot which shows that how you can stay aware and stay safe and continue to enjoy the benefits of convenient and secure banking. Remember to subscribe for free banking tips and have a hassle free online banking experience. Do remember to check another article on sim cloning which can make you all the more professional online user.